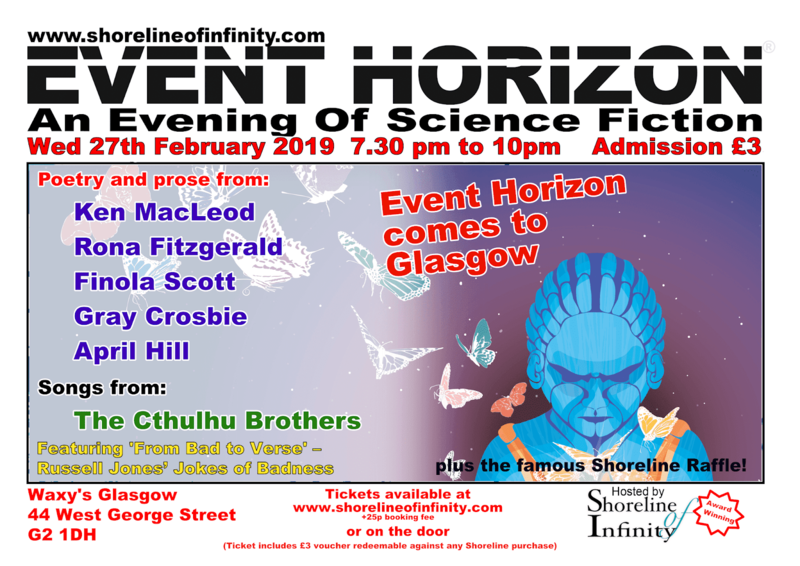 That fine SF magazine from Scotland, Shoreline of Infinity, has been going from strength to strength. 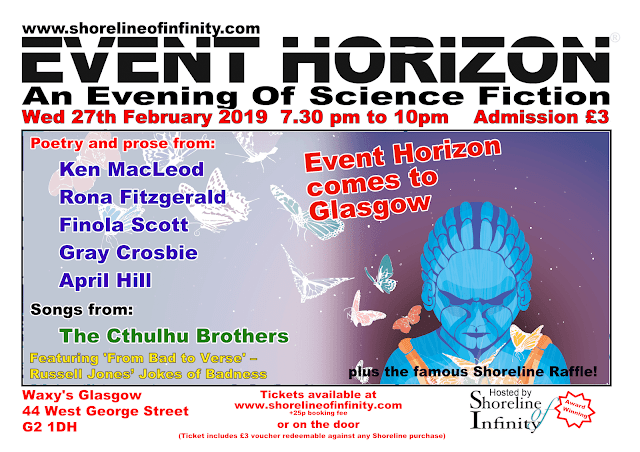 One of its innovations has been to sponsor a regular cabaret in Edinburgh, Event Horizon, featuring readings, music, and the jokes of Russell Jones, poet by day and MC by night. As a student Russell worked in a Christmas cracker factory, where he swept up rejected jokes off the floor and (contrary to regulations) stashed them for later use. Over the years his deployment of these jokes has inspired scientists and students in Event Horizon audiences to work on a time machine to go back and stop him before it's too late. Meanwhile, you can now hear these jokes and much, much more in Glasgow, this very week!